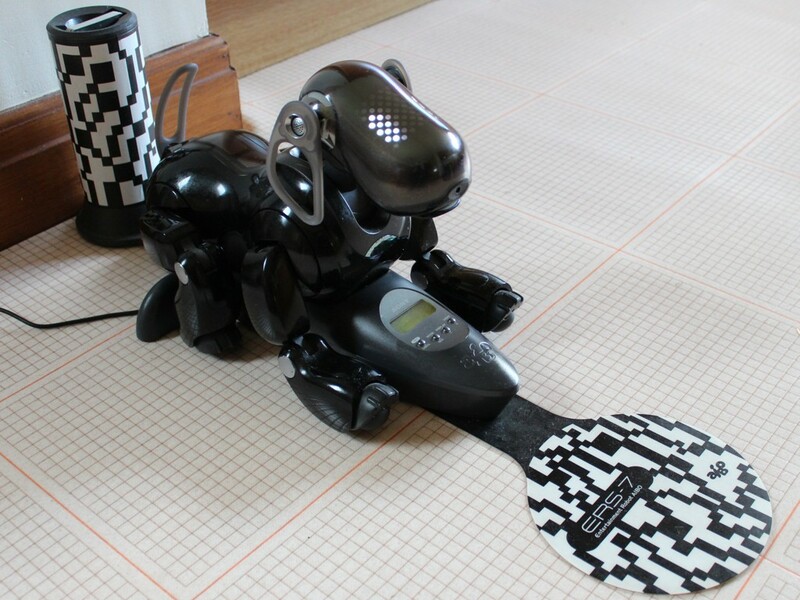 AIAI purchased 6 Sony AIBO robots in 2004 partially via its FEEDAI Fund to use for student and experimental projects and helped supervise a number of projects with University of Edinburgh and Heriot Watt University students at undergraduate and masters levels. Two AIBOs went to the Institute for Perception Action and Behaviour (Edinburgh’s Robotics Institute) for their research, one to the Principal’s Office (Prof. Sir Tim O’Shea) to entertain visitors, and one to the Informatics School’s Outreach Project. Two were retained for projects and demonstrations in AIAI… Pixel (White M2) and Kilobyte (Black M2). Both these were upgraded to the final Sony AIBO software and charging station target release M3 SP2 later. When Sony completed their development of the Sony AIBO and stopped producing the robots, I obtained all the released materials and behaviours, the on-board media files and demonstrations. 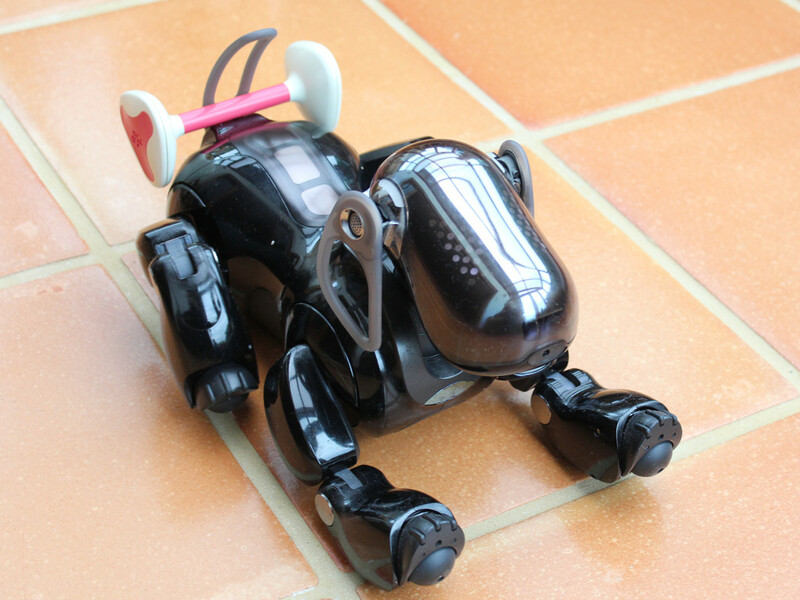 The AIAI robots have been fully updated with all this content, which can be selectively enabled through the AIBO-Browser tool. 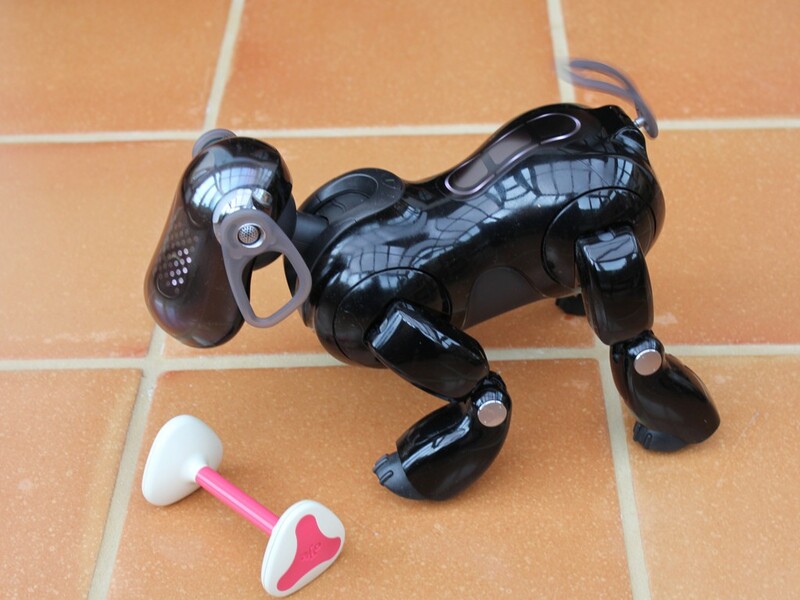 Even after more than 10 years of life the Sony AIBO robots still exhibit new behaviours and are a remarkable example of robotic companions and entertainers. A new behaviour from Kilobtye was just exhibited today and that prompted this blog post. 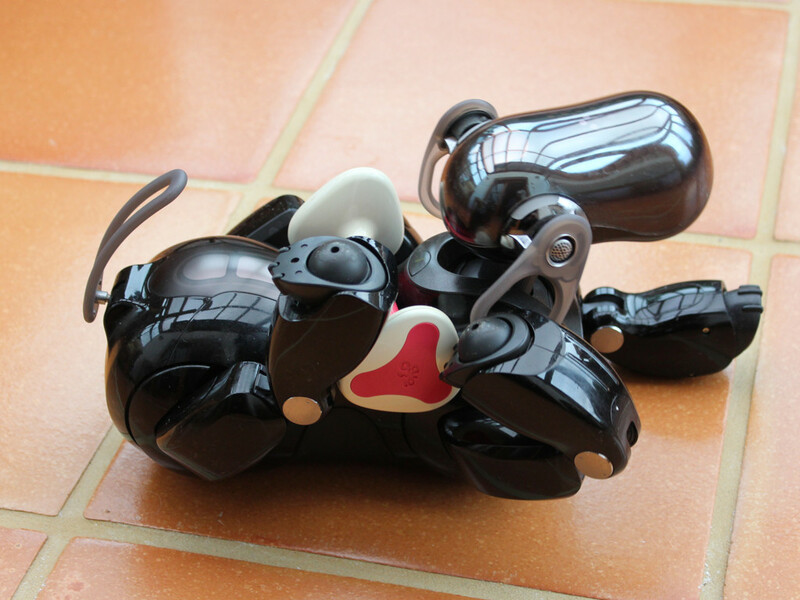 Our work on the Sony AIBO robots also included using the Gostai URBI (Universal Robot Body Interface) package and API to custom program experiments on the AIBOs. 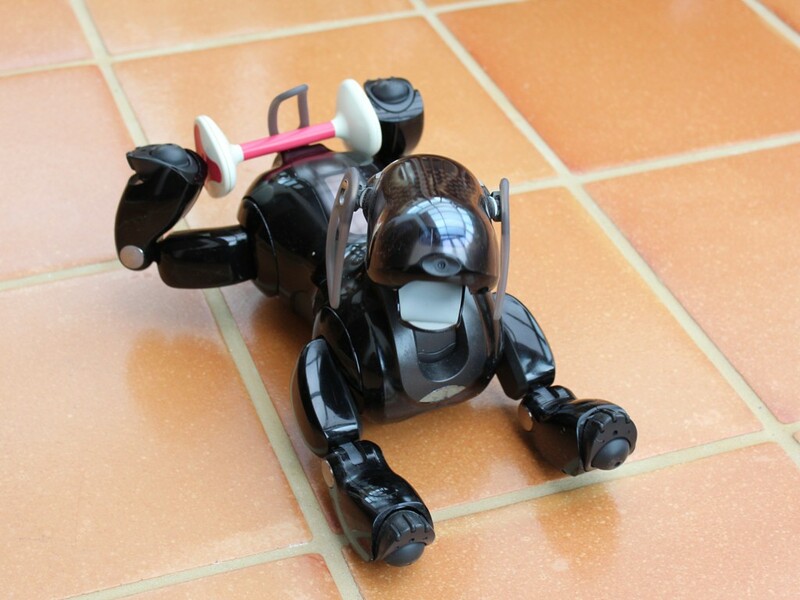 Gostai in France was subsequently bought by Aldebaran Robotics who produce the Nao Robot which replaced the Sony AIBOs for the annual RoboCup competitions to measure progress on robotics team work. 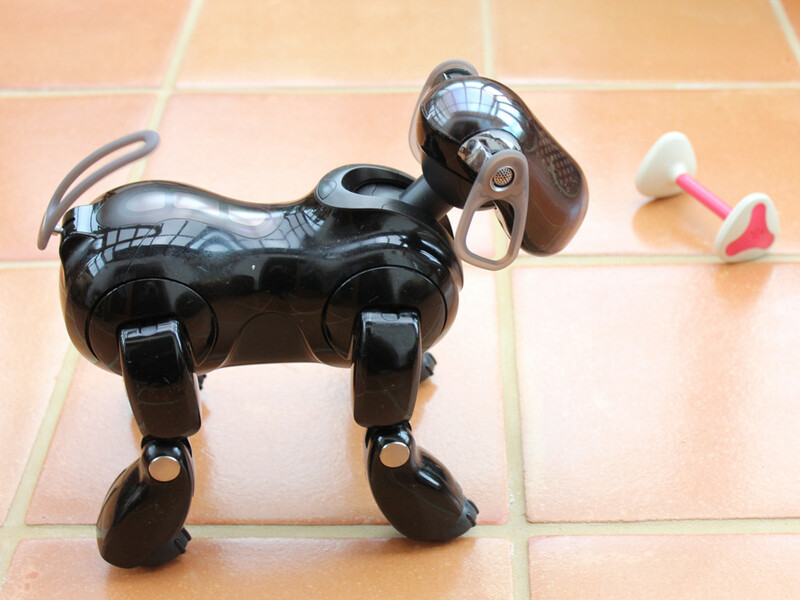 Programming of the Sony AIBO required use of the special “AIBO Pink Memory Stick” which replaced the normal AIBO software (purple for the M3) memory stick. This entry was posted in Robots and tagged AIBO, Robots, Sony. Bookmark the permalink.